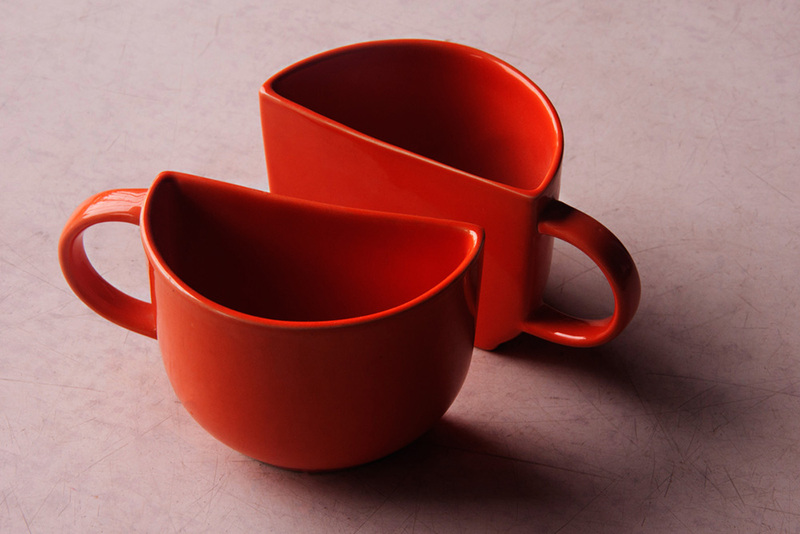 Half shaped ceramic tea cup. 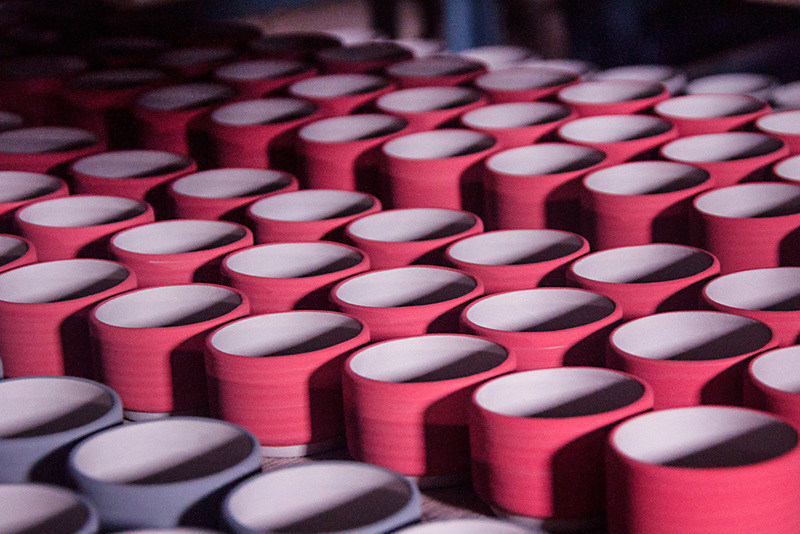 Ceramic tea cups painted with red and blue color. 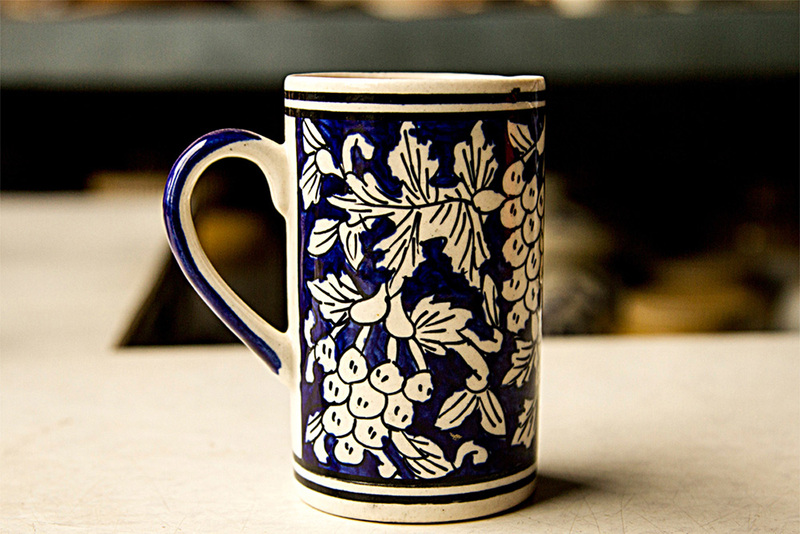 Coffee mug designed with grapes motifs. Flower pot shaped like a duck. 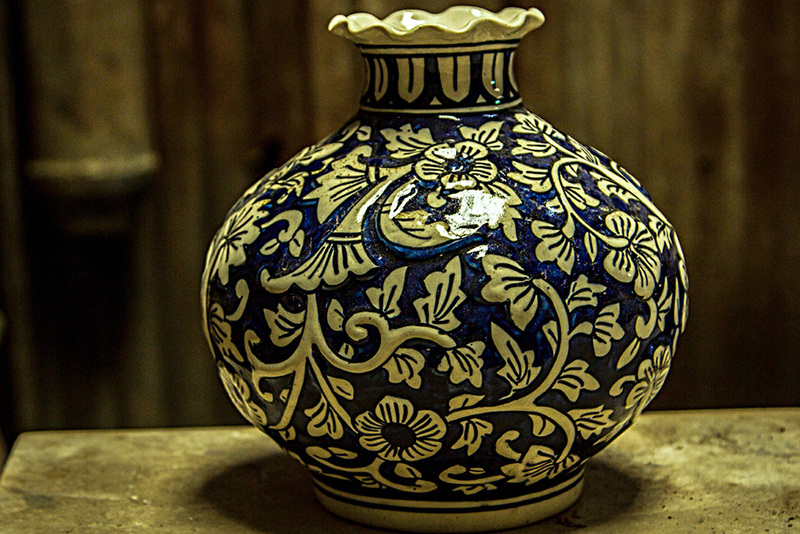 Ceramic water jug painted with floral motifs. 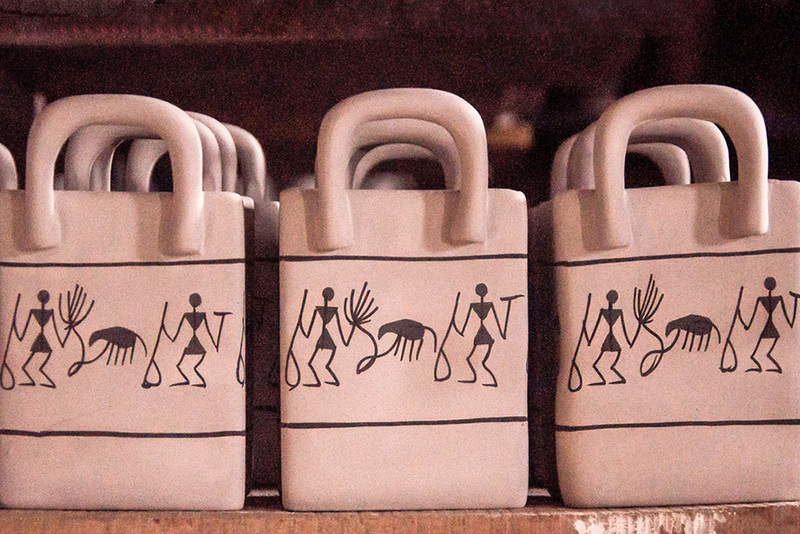 Ceramic pots embellished with embossed motifs. 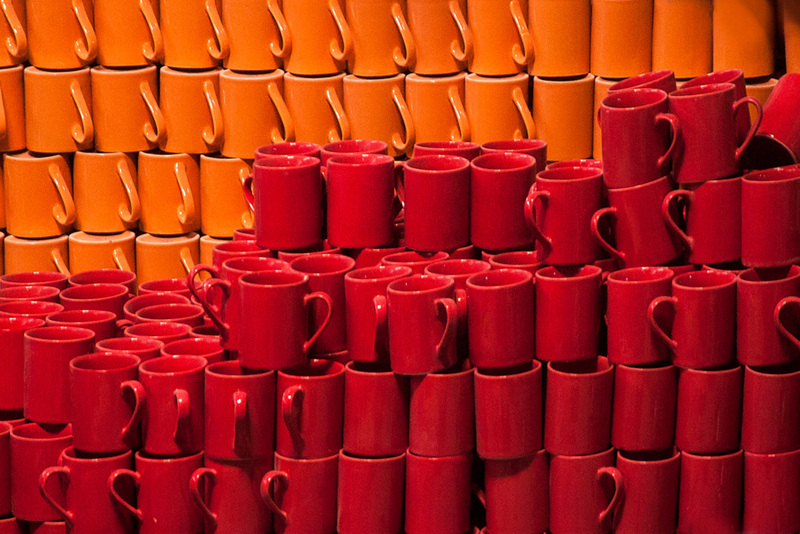 Coffee mugs glazed with red and orange color. Ceramic basket with Warli painting used as decorative or storing purpose. 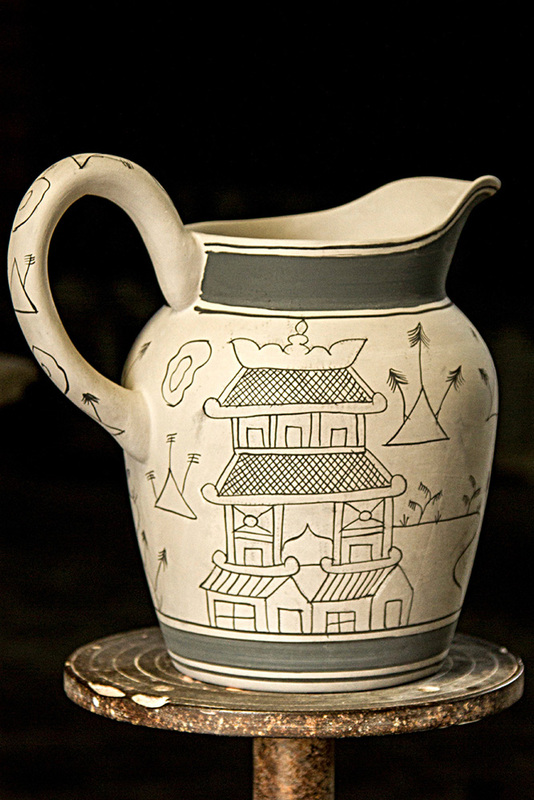 Water jug painted with Chinese design. 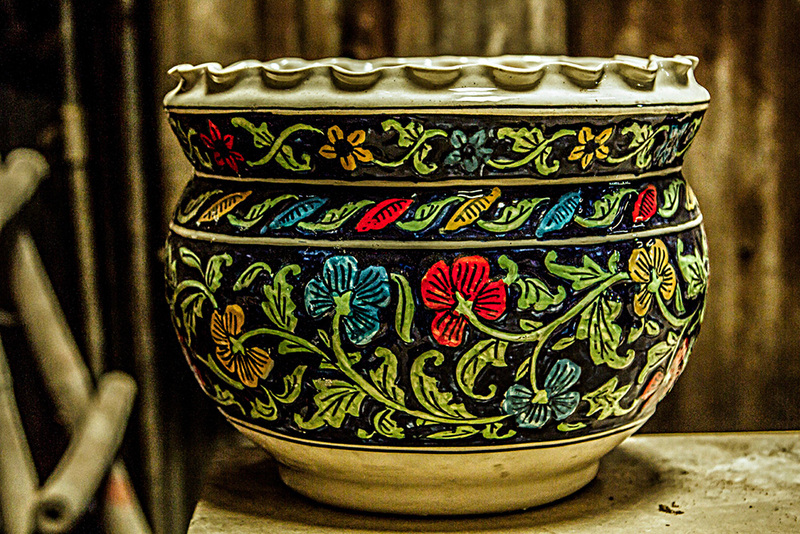 Pot embellished with embossed floral designs. Flower vase with floral design. 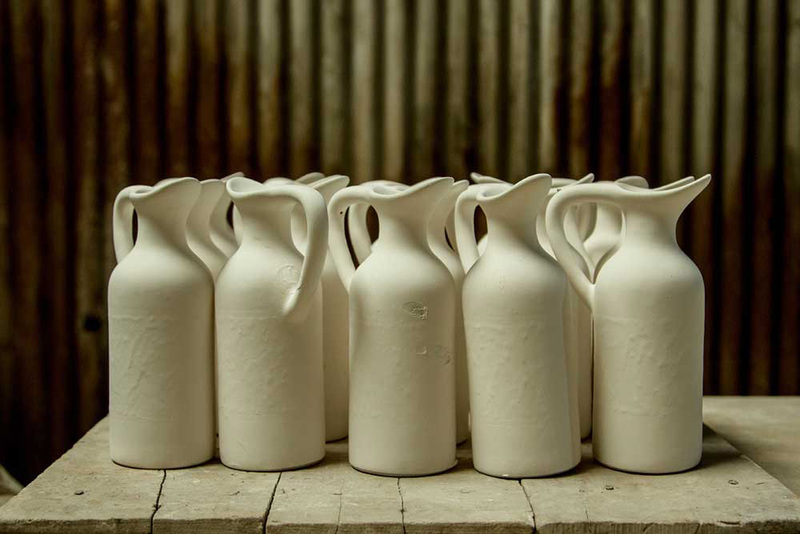 Water jugs made of ceramic. 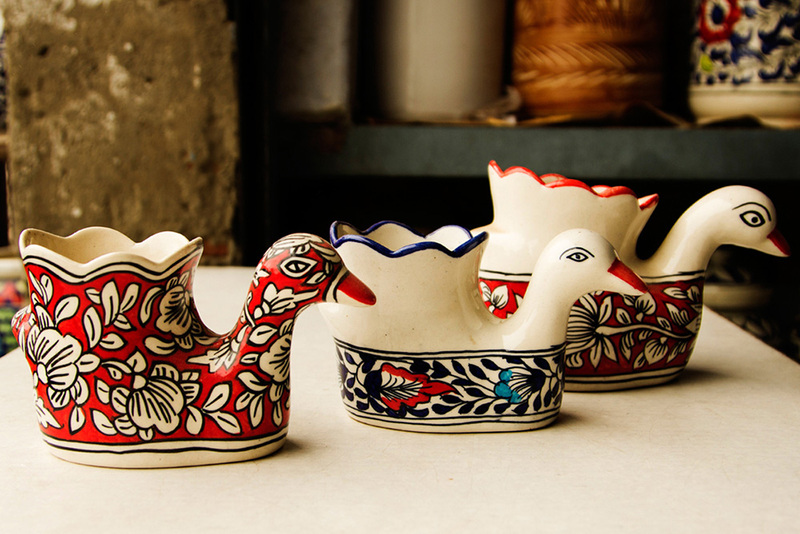 Kurja is a city in the state of Uttar Pradesh (UP) famous for ceramic products since around 400 years. This craft is recognized, certified, supported in development and sales by UP government. The products are famous for their beautiful design and different creations from clay. 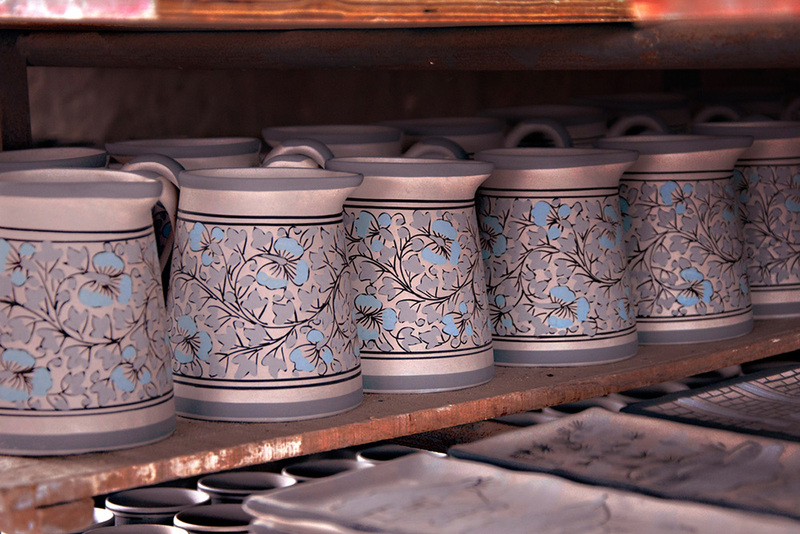 Their main products are kitchen ware, pots and big vases that are used for decoration. The products are sold more in India but also exported to different parts of the world. Many craftsmen make this craft as a profession and some make it as a hobby and some carry forward their fore father’s work. 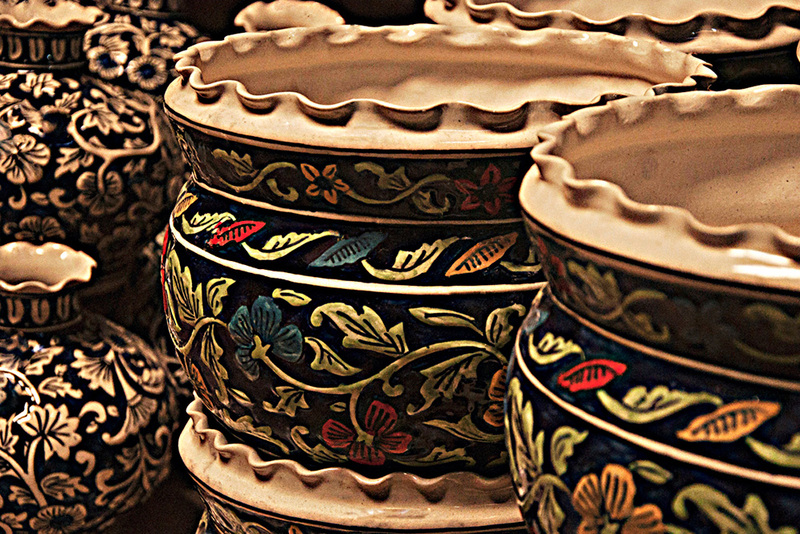 The ceramic crafts has been an important craft of the Indian civilization, still it is a unique craft of India.